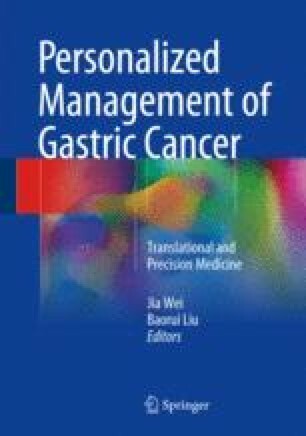 Results from recent clinical trials using many novel immunotherapy strategies, including immune checkpoint blockade and adoptive T-cell therapy approaches (CAR T-cell and TCR T-cell therapy), have clearly demonstrated the importance of immunotherapy as a critical treatment strategy for gastric cancer patients. These therapies are additional options to the traditional treatment approaches of surgery, chemotherapy, radiotherapy, and targeted therapy. However, until now, immunotherapy has demonstrated clinical benefits in only a small fraction of patients. To improve the potential benefit of cancer immunotherapy, synergistic combinations of different immunotherapy approaches are currently being explored.